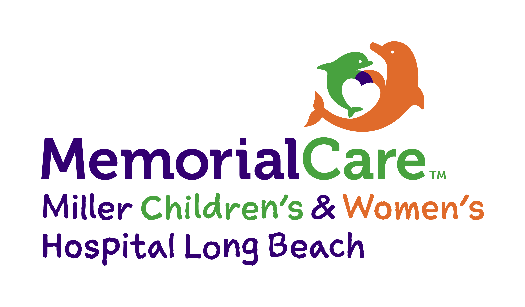 MemorialCare Miller Children’s & Women’s Hospital Long Beach was recognized for the second time for its excellence in asthma care. Miller Children’s & Women’s remains the only free-standing children’s hospital in California, and only the 10th hospital in the nation, to receive the Disease Specific Certification in Pediatric Asthma from The Joint Commission. This re-certification denotes the highest honor for quality and excellence in patient care for children with asthma. Miller Children’s & Women’s underwent a site review from The Joint Commission, which evaluated adherence with national disease-specific care standards and pediatric asthma-specific requirements. Clinical practice guidelines and performance measures also were assessed. Long Beach has a high burden of asthma due to proximity to oil refineries, freeways and the largest shipping port complex in the U.S., making asthma the most frequent diagnosis for admissions to Miller Children’s & Women’s. To achieve its initial Joint Commission certification two years ago, Miller Children’s & Women’s standardized care by developing evidence-based guidelines and tools that reduced the variation in clinical processes and promoted patient safety with asthma care. Standardization was implemented in each area of the hospital where patients with asthma are treated, including the emergency department, general pediatric units, dedicated pediatric pulmonary wing, pediatric intensive care unit and outpatient specialty centers. “In order to maintain our certification, there were several performance measures we monitored to drive positive patient outcomes,” says Eli Nussbaum, M.D., medical director, Children’s Pulmonary Institute, and chief of staff, Miller Children’s & Women’s; Professor of Pediatrics at University of California, Irvine. Research has shown that educating families on their child’s condition reduces readmissions to the hospital. Miller Children’s & Women’s had dedicated nurse educators and respiratory care practitioners who support families while hospitalized. Miller Children’s & Women’s scope of asthma care extends beyond the hospital with a unique program, the Long Beach Alliance for Children with Asthma. The Long Beach Alliance for Children with Asthma employs community health workers who work directly with families in their home and school to help them manage their child’s asthma. Using a team approach, the alliance involves the parents, child, doctor, school, after-school program, childcare, coaches and anyone that spends time caring for the child. “Whether a patient is hospitalized or receiving education in the home, this certification keeps our entire team engaged and invested in consistently improving and delivering the highest quality care to our patients,” says Linda Tirabassi-Mathis, PhD, RN, CNS, CPNP, CNS, clinical nurse specialist, Miller Children’s & Women’s.